The St. Augustine Lighthouse & Maritime Museum serves as a scenic and educational maritime museum. It stands 165 feet above sea level, overlooking the Matanzas Bay and the Atlantic Ocean from Anastasia Island. 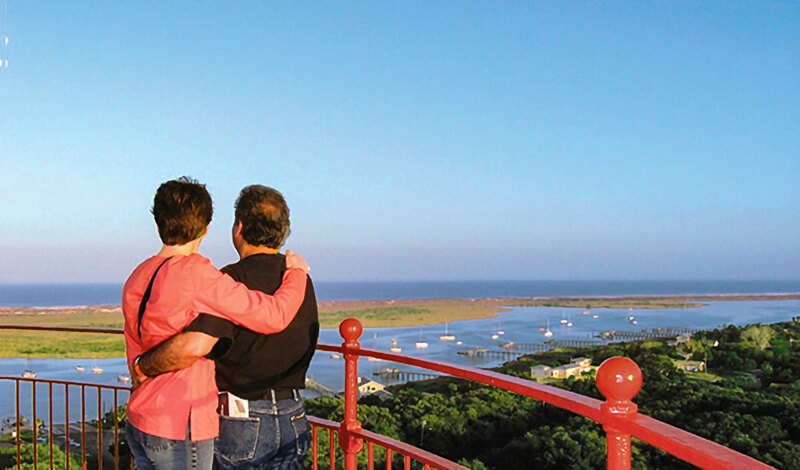 Visitors can climb the 219 steps to the top of the St. Augustine Lighthouse for a spectacular view of the city and ocean. Experience life at a Light Station through the many exhibits in the Keeper’s House, stroll the picturesque grounds, or enjoy a “Behind the Scenes” guided tour, included with admission. There is also a gift shop open to the public where visitors can choose from a unique array of nautical souvenirs. "Behind the Scenes" tours are offered on the hour from 11 a.m. to 3 p.m. every day. This tour showcases the important role the Light Station has played in St. Augustine's history and provides a glimpse into the preservation and research work that goes on at the Museum at the newly opened Maritime Archaeology & Education Center. Still an active aid to navigation, the St. Augustine Lighthouse & Maritime Museum, Inc. is a private, nonprofit museum dedicated to its mission “to discover, preserve, present and keep alive the stories of the Nation's Oldest Port® as symbolized by our working St. Augustine Lighthouse." The Museum is an American Alliance of Museums accredited institution and a Smithsonian Affiliate. Free parking is available at the Museum. Summer hours are 9 a.m. – 7 p.m. The Museum is closed on Thanksgiving and Christmas Day. The Museum is located on Anastasia Island on the road around the corner from the fire station, across from the Alligator Farm. Guests can enjoy drinks and appetizers while they watch the sunset and the moonrise over the ancient city from the top of the St. Augustine Lighthouse. Reservations required and space is limited. 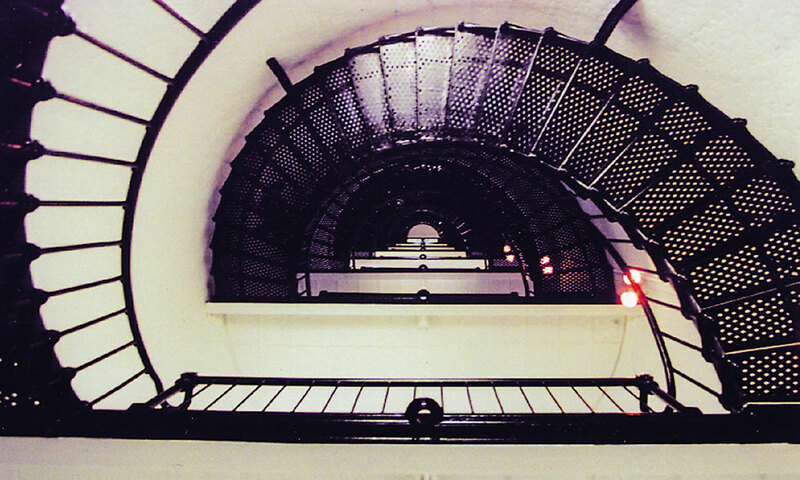 This exclusive guided paranormal tour is the only after-dark tour of the lighthouse. 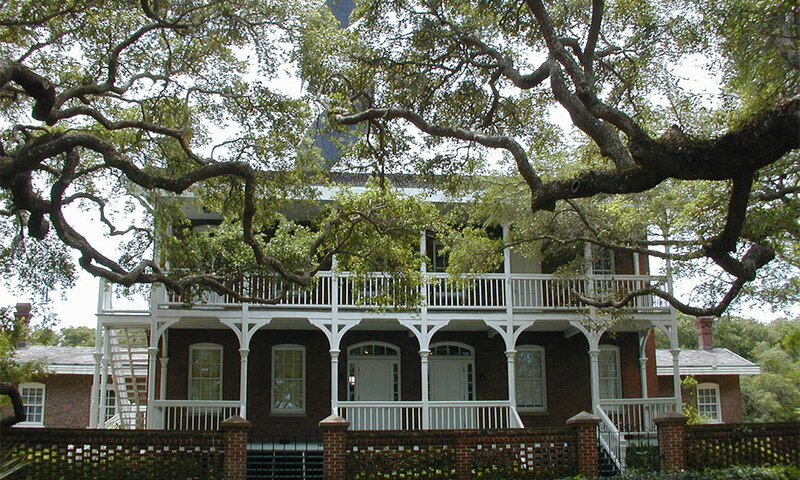 Guests can learn the ghostly history behind the light station and the keeper's house, conduct their own paranormal investigation, and ascend the 219 steps for a nighttime view of the nation's oldest city. From Memorial Day to Labor Day, Dark of the Moon tours are conducted Thursday through Monday; during the rest of the year, tours are available Friday through Sunday only. Dark of the Moon tours are not recommended for kids under 13, and do require a certain amount of physical activity (climbing the tower and walking the nature trails after dark). Visit here for additional information about the tours. For specific times and dates, or to purchase tickets, please visit here. Visitors can indulge in a premium and personal tour behind the scenes of the St. Augustine Lighthouse & Maritime Museum with special access to the Lens Room. Breakfast and drinks are served for participants as they experience the lighthouse in full operation, sending a stream of light across the coast of St. Augustine. 1 hr 30 min. 4 guests. $500 per person. 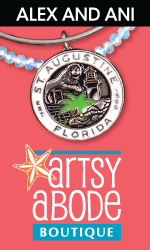 St. Augustine became an important port following the discovery of the Gulf Stream by Ponce de Leon. The original lighthouse of St. Augustine was a wooden watchtower built by Spaniards in the late 1500s in order to protect their settlement from seafaring invaders and to direct other Spanish ships and traders to their bustling port. A flame sat atop the watchtower, but was far too weak to effectively signal ships, and served more to accompany the soldier on watch. Unfortunately, the watchtower was burned to the ground by Sir Francis Drake during an attack in 1586. Following this, a coquina tower was built on the site in 1683 from the ruins of a stone chapel. This lighthouse lasted 200 years, but fell to shoreline erosion in 1880. As a result of the threat of erosion, the current tower was built further inland in 1874, 6 years before the first lighthouse fell to the sea. The lighthouse is St. Augustine's oldest surviving brick structure. The first order Fresnel lens first installed in 1874 is 12 feet tall, 6 feet across, and is composed of 370 hand-cut prisms arranged in a beehive formation. The Keeper’s House that sits next to the lighthouse was built in 1876 to provide living quarters for the families of those who kept watch, and now serves as the St. Augustine Lighthouse Museum. The Lighthouse fell into disrepair following World War II, and a fire in 1970 all but destroyed the Keeper’s House. 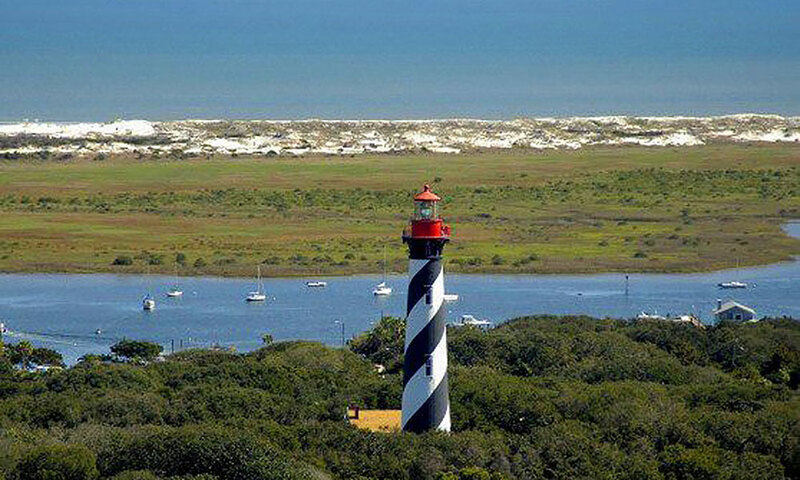 In 1980, after years of neglect and vandalism, the Junior Service League of St. Augustine had the lighthouse listed on the National Register of Historic Places in 1981. After raising hundreds of thousands of dollars, a restoration effort brought the Lighthouse and the Keeper’s House to their former glory. It opened for the first time to the public in 1988, and the original Fresnel lens was successfully repaired and maintained. During its years of closure, the light still continued to shine through the night, and after 14 years and $1.2 million towards restoration, the St. Augustine Lighthouse & Maritime Museum is a glistening beacon of Florida’s maritime history. The site was added to the National Register of Historic Places in 1981. 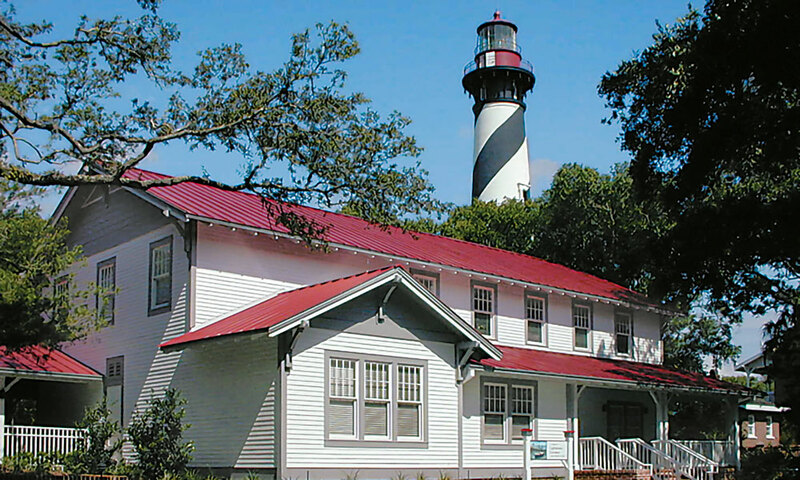 The St. Augustine Lighthouse & Maritime Museum is also home to the Lighthouse Archaeological Maritime Program (LAMP). This program seeks to discover and preserve ocean archeology in order to better understand Florida’s role in early navigation and exploration. LAMP encourages participation in history through education, and seeks to maintain St. Augustine’s heritage as the nation’s oldest port. Thank you for the awesome review and for helping our non-profit save maritime history. I love lighthouses and have visited several on the east coast. The St. Augustine lighthouse has an extensive museum attached displaying the different lenses used over the course of its existence. The historical displays also explain the use of lightships, lighthouse keeper log books, and uniforms used by the keeper. The climb to the top was too much for me to attempt, but there was enough to see there that it did not distract from the experience. Great gift shop, too. i climbed the 219 steps (stopping 3 times alomg the way to the top). stupendous view. be sure to look over toward the alligator farm to the white birds in the trees. Great climb, fantastic view and breeze. Almost as good as Ponce de Leon lighthouse by Daytona. The views from the top will simply take your breath away. What i mean is you can't miss seeing it when driving though the area. Should you stop? If you can climb the steps, it offers a great view. If you are a light house fan...it's a given stop. Otherwise, save your money and enjoy it from the street. Children under 44" are FREE. You must be at least this height to climb the lighthouse.